Order Analysis of Mold Today- for Your Peace of Mind! Testing the mold in your home means you can have the peace of mind of knowing without a doubt whether that mold could be making you or your loved ones sick. Because knowing all that will give you peace of mind. Do it yourself mold test kit that saves you money! Mold is recognized as a health hazard and a destroyer of property value. Hiring a professional for on-site mold testing can be expensive (may cost over $1,500.00) since they will charge for their time to collect the samples and the laboratory fee. By collecting samples yourself and sending them directly to an accredited laboratory saves you on “professional” fee which is always higher than the laboratory fee. If you you see something you suspect to be mold growth in your home or office, we suggest, as a first step, a do-it-yourself mold testing. It’s fast, inexpensive and the most effective method to quickly confirm suspect mold growth. With this initial test, you will be able to decide if hiring a professional for more extensive testing or remediation is necessary. Your samples will be analyzed at Mold & Bacteria Consulting Laboratories, a leading accredited mold testing laboratory in Canada. providing additional information to help you decide if you need to hire a professional. In addition to the report, you’ll get a free 15-minutes consultation with one of our professionals upon request (additional time will be charged). The mold test kit is a valuable, inexpensive first step in determining whether or not you have a serious mold problem in your home or office. These easy-to-use, affordable mold test kits will help you sample air and visible mold in your home or office using the same methods that professionals use! If you can see the mold, just use Clear Scotch Tape (Visible Mold Test Kit, see below) to take samples to send for analysis. But sometimes you can’t see mold, yet you think there has to be mold somewhere because you can smell its musty odor or someone in the family has persistent allergies. In that case, rent our air sampling pump (the same pump used by professionals) to test the air in your home (see Air Quality Mold Test Kit). 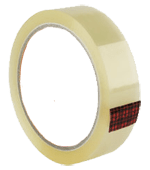 Once we receive your order, we’ll send you instructions on how to collect and send samples using Clear Scotch Tape. Use clear scotch tape if you want to know the type of mold growing in your home or office. Tip: If you see mold growth in more than one place (say kitchen, washroom, bedroom and basement), we recommend taking a minimum of 3 samples. This because the mold in the washroom is highly likely to be different from that in the basement or kitchen or ceiling. Caution! Please do not disturb any type of mold growth without proper protection. Disturbing mold releases spores into the air, which can make you sick. how to make sure it never comes back. © 2014 Moldbacteria. All rights reserved.